While I’ve dabbled in the Uncharted franchise in the past, I’ve never completed a title in the series. This is in part because I only purchased a PlayStation 3 in 2012 (I was primarily an Xbox 360 user in the last generation of consoles and waited until I could pick up Sony’s console for a decent price), but also because the series has never really caught my attention. I’ve always watched what is arguable PlayStation’s most popular exclusive franchise from a distance and wondered why it was so popular. From the outside, the Uncharted series seemed like a generic third-person shooter with high-end production values. But given Neil Druckmann’s significant involvement in the writing of Uncharted 4: A Thief’s End’s story – he’s the mind behind my favourite game of all time, The Last of Us – I’ve been eagerly anticipating what Naughty Dog says is the final entry in the storied franchise. It’s worth noting Druckmann has also worked on past entries of the Uncharted franchise in various capacities, working as lead designer on Uncharted and Uncharted 2. 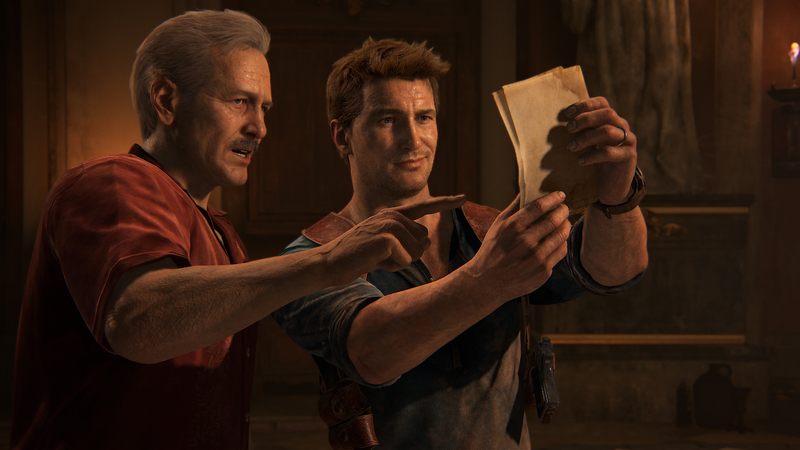 This is the first time, however, he has been at the helm of writing an entry in the Uncharted series. After playing an advanced copy of game for a couple hours over the last few days, it seems I really didn’t know what I’ve been missing all these years. From the moment the game begins, the expertly crafted story and pacing that made The Last of Us such a compelling experience is apparent in Uncharted 4, giving players an ample number of enemy-filled firefights and moments of well-written narrative-driven quiet, all while placing an emphasis on pushing A Thief’s End’s story forward in unique ways. The centre of Uncharted 4’s winding tale focuses on a legendary treasure hidden by the infamous Henry Avery, a merchant pirate slave trader who ruled the ocean during the final decade of the 17th century. Similar to the Assassin’s Creed series and typical of the Uncharted franchise (or so I’m told), A Thief’s End utilizes real moments in history as narrative jumping-off points, weaving its story – which takes place three years after Uncharted 3: Drake’s Deception – through real-world historic events. Without giving too much away, Drake is married and has settled into a mundane life as a corporate salvager, when his older brother Sam, who he’s assumed has been dead for 15-years, mysteriously returns, throwing his now orderly existence into disarray. Early on in the game the narrative technique Druckmann frequently took advantage of with The Last of Us, especially in its DLC Left Behind, is used to great effect. 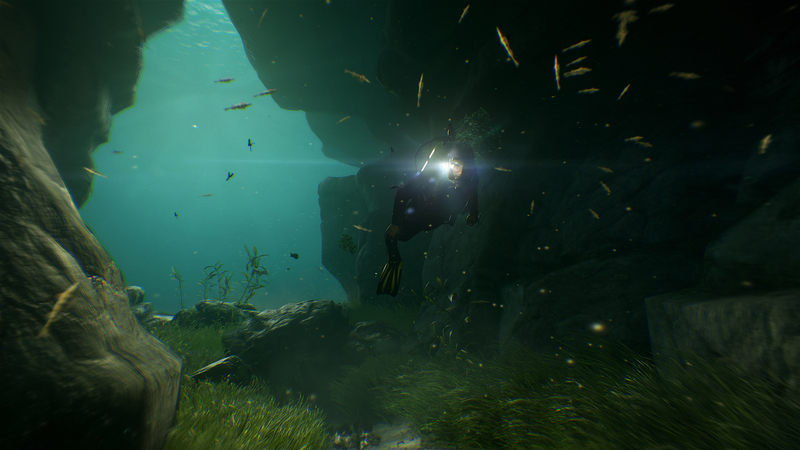 Characters are put through contemplative, quiet moments, such as walking through a South American prison, or diving through the ocean’s depths, uncovering salvage, all while discussing the game’s story. Sequences filled with intense action often follow these moments of catered quiet, giving the player a perfect balance between popping off head shots and sitting back and enjoying an excellently acted and constructed cutscene. Though it’s worth noting that the non-interactive cinematics the series is known for are still present in A Thief’s End. And fans of Drake’s often cringe worthy one liners will be pleased to hear that despite Uncharted 4 being one of the best written video games I’ve played, the Uncharted series’ main character still says a number of really silly things. This is not to say Uncharted 4 isn’t full of action and Drake has lost his “lovable serial killer” personality. 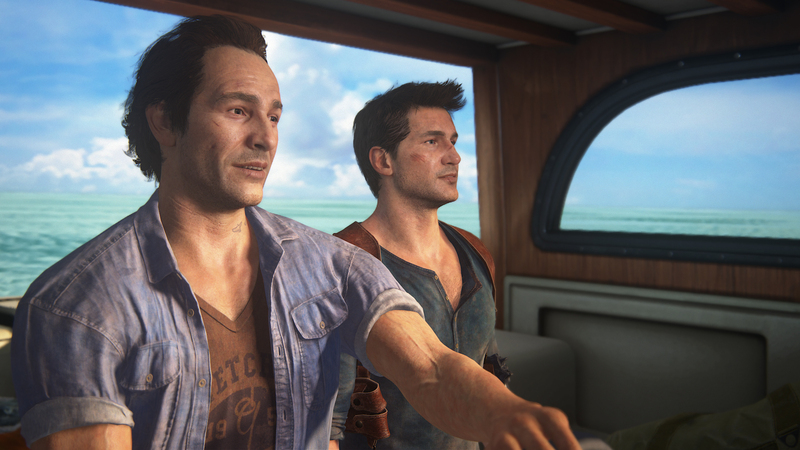 In the half a dozen hours I’ve spent with Uncharted 4, Drake, as well as his companions – including Sam, Drake’s brother and Sully – shoot, explode and pummel countless enemies, though the set pieces some felt were over the top in Uncharted 3, have been toned down considerably in 4. 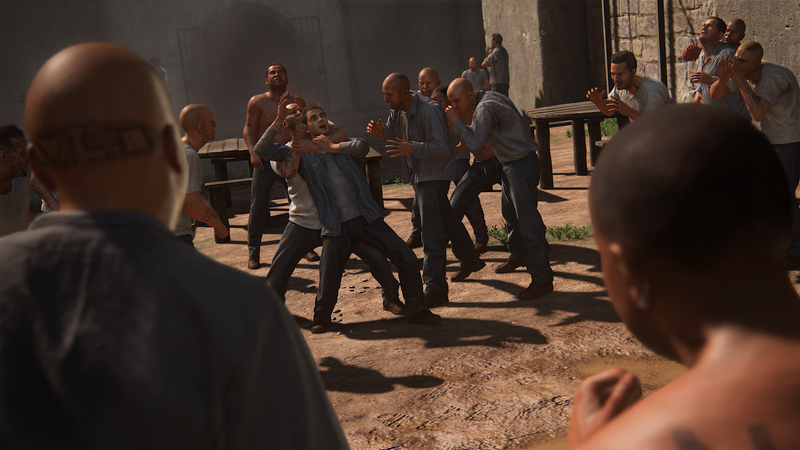 I would, however, have preferred the game to be less combat focused, taking a page from Druckmann’s The Last of Us, though Bruce Staley’s more action-oriented approach to writing (he was one of the primary writers on Uncharted 2) is probably the reason for A Thief’s End is crafted this way. 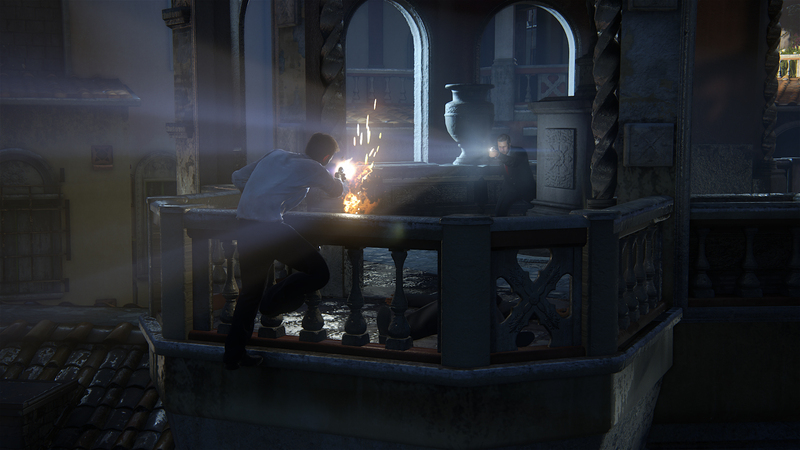 After all, the Uncharted series is all about action. Naughty Dog, at least in my understanding, has always taken a story first, game second approach to development, weaving gameplay around an already compelling tale. Another notable aspect of Uncharted 4 is its impressive visuals, amounting to what I think could be the best looking video game of this console generation, at least so far. 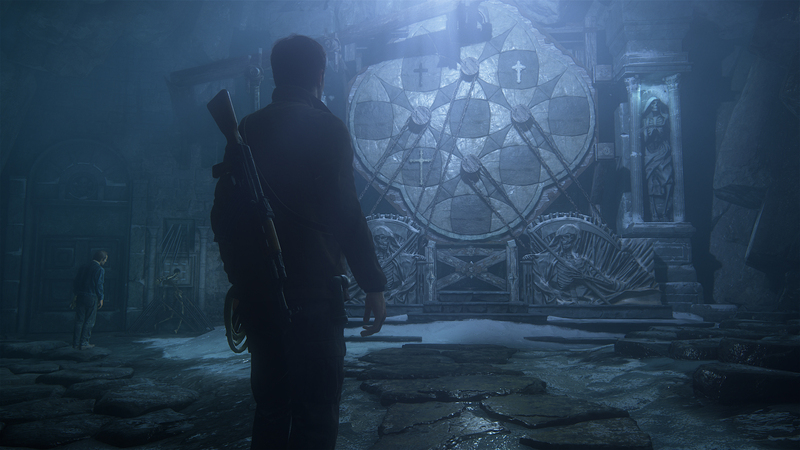 The anti-aliasing issues that plague so many Xbox One games, as well as some PS4 titles, aren’t present in Naughty Dog’s latest Indiana Jones-inspired epic, and every environment in A Thief’s End feels painstakingly crafted, though there is still a certain level of openness to their massive scale. This allows players, at least in some situations, to approach sections of the game in different ways. New features, such as the ability to mark targets in the battlefield with the press of the left stick, and an Assassin’s Creed style indicator above foes heads when you’re hidden (it fills up and turns yellow when enemies set their sights on you), solve some of the gameplay issues I’ve experienced while playing other entries in the Uncharted series. Combat is also more fluid and fine tuned in 4, as is the free-running the series has become known for over the years, especially when it comes to animation. Drake’s leaps and bounds between objects, ropes and cliffs, feel real, and have a realistic weight to them. This portion of the game actually feels strikingly similar to Rise of the Tomb Raider, a game that was arguably inspired by the Uncharted series in the first place. With Uncharted 4: A Thief’s End, Naughty Dog has once again proven why it is one of the top video game developers in the industry right now, offering players a polished, expertly paced and written third-person adventure experience even this jaded former video game reviewer can appreciate.